Starting the first half of your week in the coastal town of Sagres and finishing in the city of churches, Tavira, highlights include visits to some of the Algarve's most varied and interesting beaches (including Odeceixe, which is the one of the most photographed and most popular beaches in the Algarve), exploring the maritime history of Portugal and Europe in Lagos and Sagres, and walking along the banks of the Guadiana River. You'll meander along diverse landscapes, from river paths and untouched coastlines to the Monchique mountain range. Admire the colours and scents of the Spanish and green lavender that grows in abundance, along with more than 25 types of orchids, mystic thyme and flowering yellow broom. Overhead you can see Bonelli's eagles, sparrow hawks, black kites, azure magpies and golden orioles whilst flamingos make their home in the salt marshes. As autumn arrives, the Algarve is one of the best places in Europe to see the annual migration, and with the region's autumn and winter being similar to the UK's springtime, you can expect year-round warm temperatures. 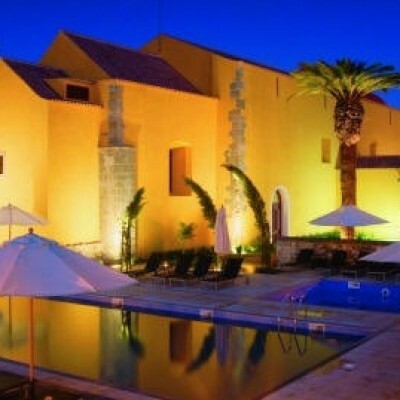 You'll stay in two hotels of contrasting styles: in Sagres, sitting on the cliffs above the Atlantic Ocean, is the modern boutique ****Memmo Baleeria, and heading east in Tavira is the **** Pousada de Tavira, a former C16 convent, which has now been tastefully converted into a lovely hotel. The local cuisine is delicious - expect fresh fish, cured hams, tasty cheese and chourico (which are as good as those from Spain or Italy!). Walks are on well marked paths, terrain is mostly in good condition and consists of hard packed earth, stoney tracks and small sections of tarmac. Walking boots are essential and walking poles are recommended for some days. 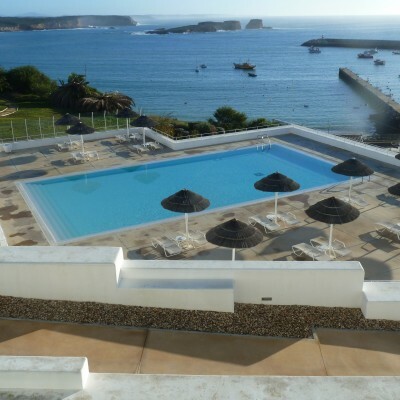 Collect your hire car at the airport and drive to Sagres, the beautiful coastal town where you will spend the first four nights. From picturesque Bordeira, a valley trail takes you through eucalyptus and giant reeds to the cliff tops above the vast expanse of Bordeira Beach with its impressive sand dunes. The views are breathtaking! Descend to the beach, where you'll walk along the crashing surf to explore the dunes and meandering river estuary. Your return is along a sandy trail through the scented pine forest of Bordalete and the floodplain of the Bordeira River where bell-toting cattle graze lazily. A short but spectacular walk to two of the Algarve's most varied beaches and their unique rock formations sculpted by the Atlantic. Stroll through peaceful valleys and pine forest to reach the flower-strewn coast. Descend to Carruagem Beach with its swirling rock ridges and rock pools. Then take the sandy cliff trail to Amoreira Beach, one of the finest sweeps of shoreline in the region. After your walk, head to Aljezur to wander the cobbled streets and visit the ruins of the Moorish hilltop castle for superb views. Just over the border in the Alentejo is the attractive village of Odeceixe. You set off on the Rota Vicentina Pilgrims' Trail alongside the irrigation canal. Reaching the Atlantic, head along the wild and rugged coastline on the stunning Fishermen's Trail to the beautiful beach of Odeceixe - one of the most photographed in Portugal. Head back to Odeceixe alongside the river and through meadows to explore its narrow cobbled streets and tempting cafes. 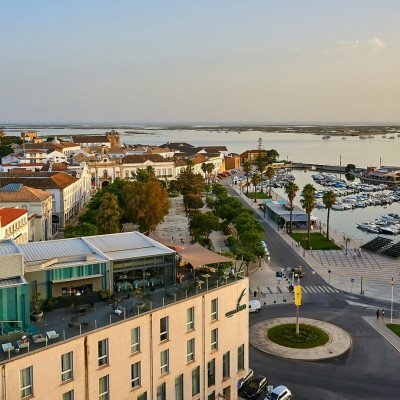 Today you make your way to Tavira, your base for the next three nights. Choose to do a walk en route or visit one of the interesting villages or towns. Monchique or Lagos are both worth a visit, the small village of Saint Luzia near Tavira is famous for octopus restaurants or head to Tavira for lunch and explore the town in the afternoon. You head east, maybe stopping at the town of Alcoutim with its C14 castle and small international ferry! Then to Laranjeiras, where the walk begins along the banks of the Guadiana River, passing pretty white villages and almond and olive groves. You'll climb between holm oaks and stone pines to a wonderful picnic spot. It's then on through the Laranjeiras ravine full of tamarisks, lavender and carob trees, spotting golden orioles as we go. A longer walk today, which is packed with interest and contrasting scenery and sights - first following the river through orchards and vineyards, then passing through cork oaks, cistus and pine plantations, to reach a wonderful view point over the Odeleite River. Heading down to the river there is a lovely picnic site to enjoy a break. Following on passing holm oaks and two windmills is evidence to the life in the area known as the Serra. It is a 35-minute drive back to Faro airport. Note: This is an idea of your itinerary; we have more walks for you to follow in our notes. Our Algarve representatives will explain everything at your welcome briefing. You can easily add extra nights in either hotel or shorten the holiday if you like. The Pousada de Tavira, Convento da Graca, is located in the Santo Agostinho Convent, founded by Dom Sebastiao in the C16. 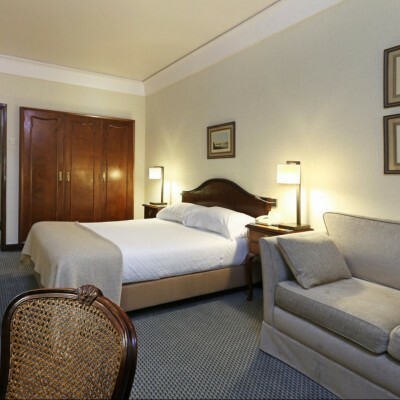 The hotel is centrally located in Tavira, and perfectly combines its historic past with modern touches. 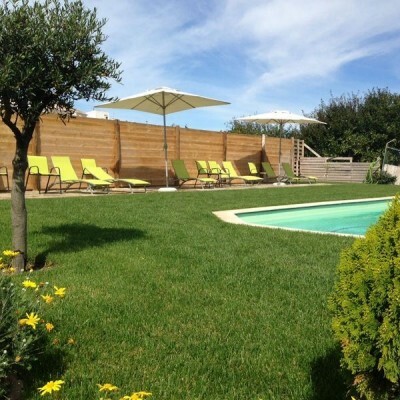 The guests at the Pousada de Tavira can enjoy the outdoor pool on the sun loungers under the parasols or read a book in the drawing room. It has a lovely restaurant and pleasant bar, whilst the inner courtyard is a lovely place to sit and relax. All rooms have a mini-bar, satellite TV and balconies or terraces. WiFi is available in public spaces and some rooms. I think the timings/distances on the walks are a bit misleading. I have noticed this on other Headwater holidays. We really enjoyed our holiday, contrasting hotels and walks in the 2 centres made it feel like longer than a week. It was a shame that the swimming pool and spa weren't open at the first hotel as we were looking forward to using those facilities. Every Saturday from 27th Apr 2019 to 23rd May 2020, for 7 nights. All dates are subject to availability, please contact us to check. This holiday includes car hire so transfers are not ncluded. Due to the tailor-made nature of our holidays, we need a little more information in order for us to check availability for The Algarve from West to East. Simply complete the form below and a member of our sales team will contact you (when it's most convenient for you) to provide availability information, travel options and an accurate price. Of course there's no obligation, but if you do wish to proceed with a booking they will be on-hand to assist you throughout the process.